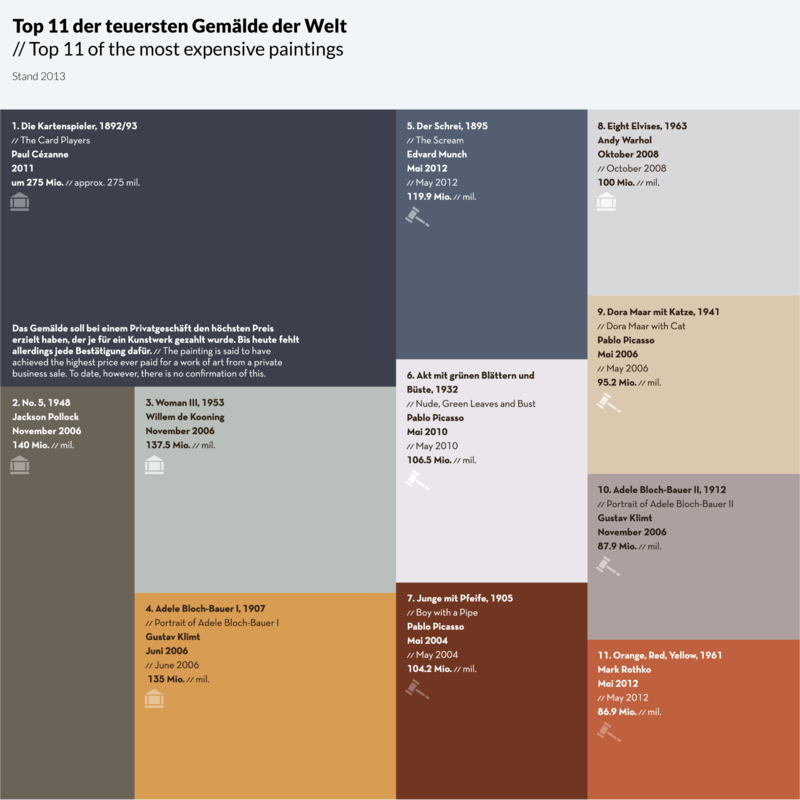 An infographic showing the Top 11 of most expensive paintings and the history of Munch's »Scream«. There are four known versions of the painting and each has its own story. 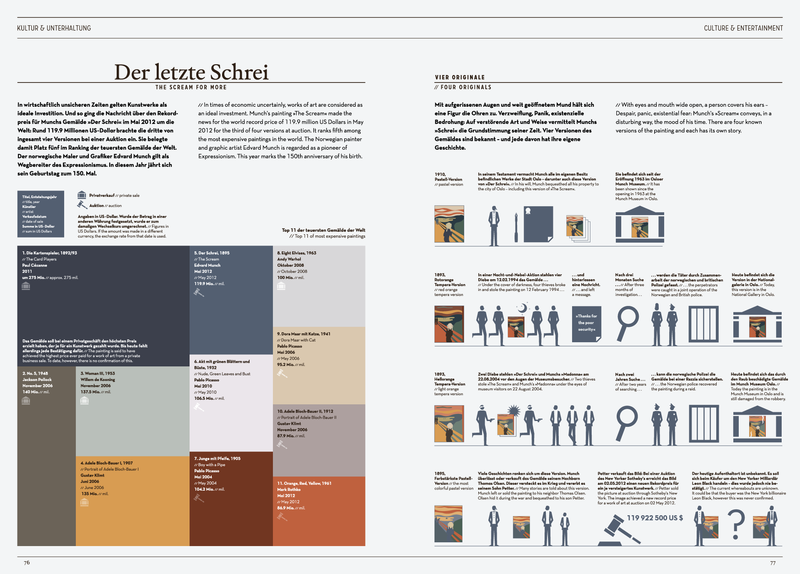 Published in the In Graphics Magazine Vol. 5.